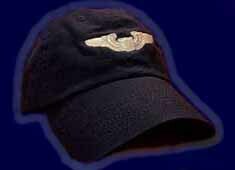 Pilot, Aviator and Aircrew wings and Aviation logos on comfortable, low-profile unstructured hats. 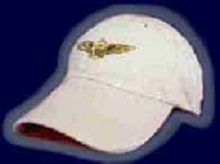 Embroidered in the U.S.A. on hats made overseas. 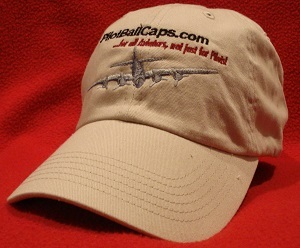 New* - US Army Air Forces, Army Aircrew, Flight Nurse, Tanker Special Ops, AWACS, Trans World Airlines and Delta Air Lines retro Logo hats are now Available! Adjustable sizes, best fit 6-7/8 to 7-1/2. Standard 2-7/8" bill. Crew Dawg Creation Great Custom Crew Gear!